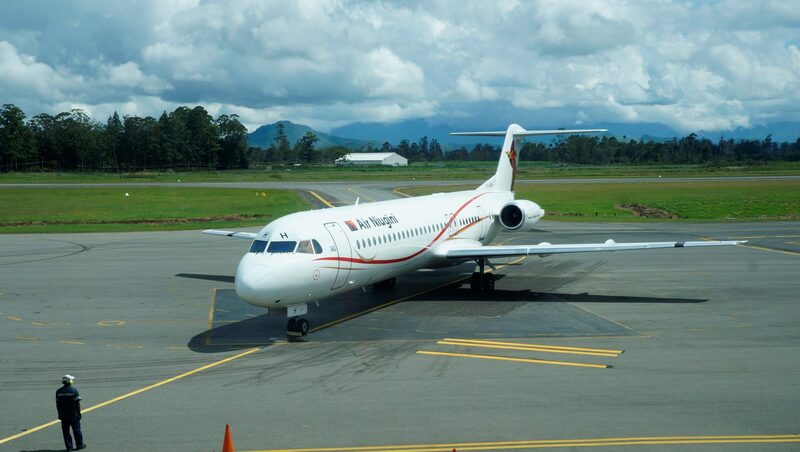 Air Niugini’s Fokker 100 aircraft at Kagamuga International airport in Mt Hagen. Looking out from the paradise lounge, overlooking the runway where aircraft arrivals and departures are easily seen here. The Hagen range is viewed in the distance and the ever changing Waghi Valley sky provides constant movement and color externally, ensuring passengers comfort and serenity.